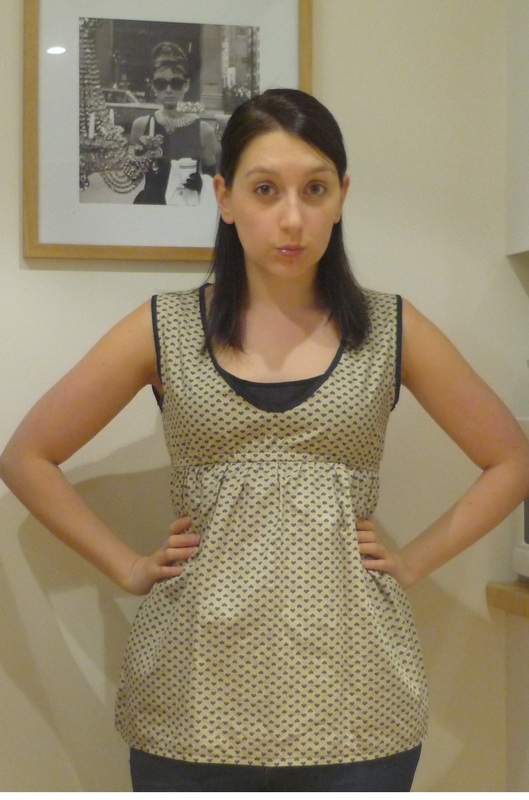 I’ve just finished an awesome polka dot dress. I’ll be putting photos of me wearing it up here on Monday as we’re going away for the weekend! Yippee. We’re off to Cambridge to see Jimi’s family. His Grandma Maisie is the sweetest little lady. Jimi speaks to her every week and she always asks what I’ve been baking and sewing! She knows my mum makes cakes for a living so assumes mine are as good. Well I decided to make her a little birthday cake. Ta da! I didn’t put her age on it because a lady should be modest about her age, so I put some daisies on instead. Daisies for Maisie! Bit wonky but hope she likes it. It’s lemon curd cake and I tried not to make it too sweet (as in lemony-sour-sweet). Here’s hoping it’s edible. I have been pottering away with a couple of projects. One which will soon be posted as a tutorial. I won’t go into the drama of Sunday and my time spent watching paramedics scamper round my boyfriend but I will say he’s all fine now. Phew! 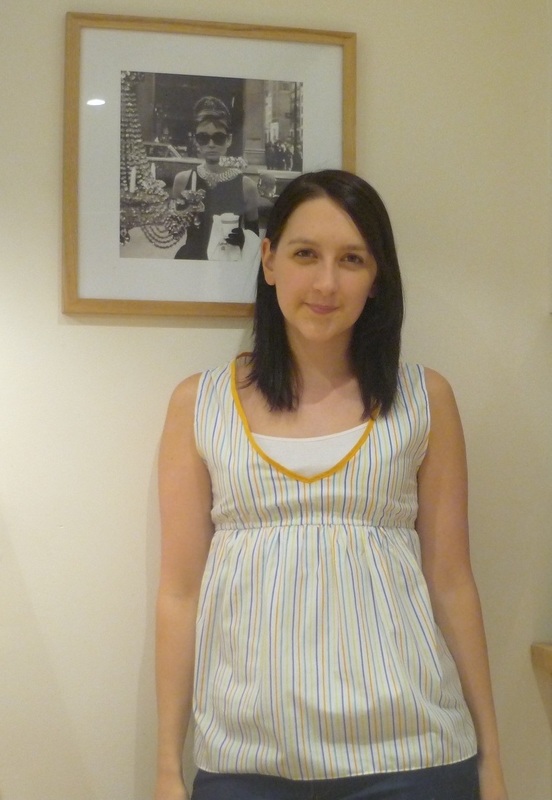 Recently I wore two tops made from the same self drafted pattern. I love empire line tops if you haven’t gathered but do plan to try some button and zip up tops to stop having to feed elastic taped to a safety-pin through almost every item I make! So here are days 9 and 11. Summery tops but here in cold miserable Yorkshire I’ve had to wear jeans, cardigans, scarfs and keep an umbrella with me at all times. SO what about day 14? Well after watching Mondo on Project Runway All Stars make his own ink blot / Rorschach print with fabric dye I thought “I CAN DO THAT!” and promptly bought a plain canvas bag and a little tub of fabric paint in a squeezy tube. The result is this tote bag that I’ve used for hulking stuff about in like shopping and swimming gear. I love it. I think it looks a bit like a woman’s face with a crazy beehive. What do you think? As I said… tutorial to follow. I plan to make more of these on better quality canvas bags, possibly in different colours (meaning different colour bags AND paints) and then if I’m feeling brave I’ll try like Mondo to make a t-shirt or dress with a panel of this kind of print on it. Wow the last few days went super quick! And I have some photos for MMM12 to upload soon but tonight I’m absolutely wiped out. It was a dramatic day to say the least(!) as Jimi did his half marathon and got right to the end but then needed paramedics and a stretcher and I was so frightened. He’s okay now and he told me to sew once we were back home and he was all sorted out, but I’ve been too skittish to focus. I promise photos from the last few days soon. I have been wearing me made items just saving them up for a proper post. Just want to spend time checking the big fella is okay right now then I’ll upload some treats! So I had a bit of a sewing disaster this weekend. For some inexplicable reason a cup of tea flung itself out of my hand and all over: a) my sewing table, b) my mannequin “Beryl” and c) some of my fabric. Oh and the floor but who cares about that?! Errr can I stop taking photos yet? Prima patterns are very straightforward which is both a good and a bad thing. They don’t look like much when you’re done but they are easy to make and provide a nice staple for the wardrobe. I have some other Prima patterns to work through including a very simple skirt pattern to try. Hopefully when I get my pattern review page up and running I can add details there! 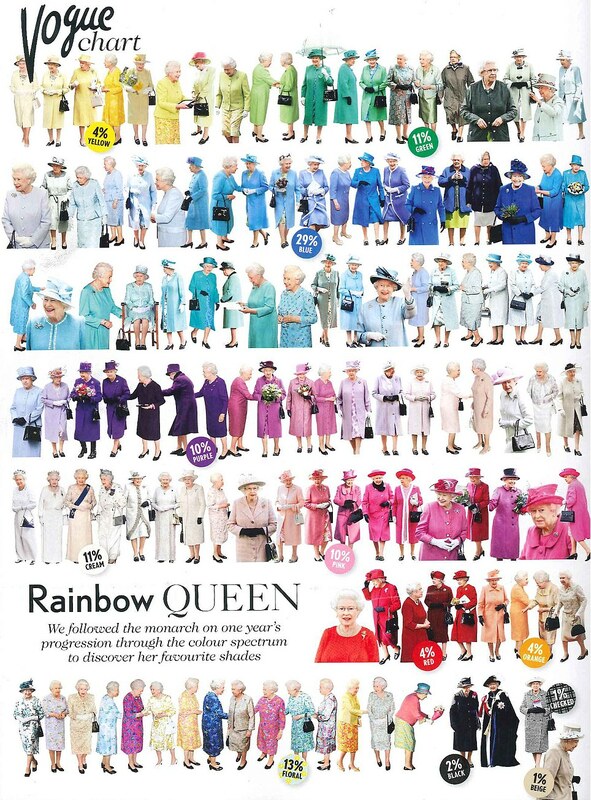 Oh and I wanted to also share this awesome Vogue colour chart showing the Queen’s fave colours. She loves a bit of blue…. I wore my polka dot top to work Friday made from Butterick 5644 with a self drafted peter pan collar. I had a very productive day. No one was really in the office so no one really noticed/cared I was wearing my top. I was pleased with myself at least. Straight after work I met up with old work friends for a drink. Always dangerous on an empty stomach but awesome fun to catch up with everyone. Yesterday I didn’t really do as much sewing as I’d have liked. I bought bucket loads of fabric though! I have FINALLY found nice lace. All of Yorkshire seemed to have a nice lace shortage, apart from Sam Taylors who have gorgeous but COSTLY lace. Last week I bought some online from Hertfordshire and was rather impressed with it when it arrived. But then, wandering round the market yesterday I found gorgeous red and mint coloured lace at a bargainous price of £2.85 a metre! God bless you Jack’s Fabrics. And then I bought lots of lining fabric from Jack’s from their clearance shed. It’s not really a shed but a walk in cupboard area which is definitely hit and miss but when you find a hit, it’s usually amazing. The best thing about the shed is that everything is about £1 or £1.50 a metre. 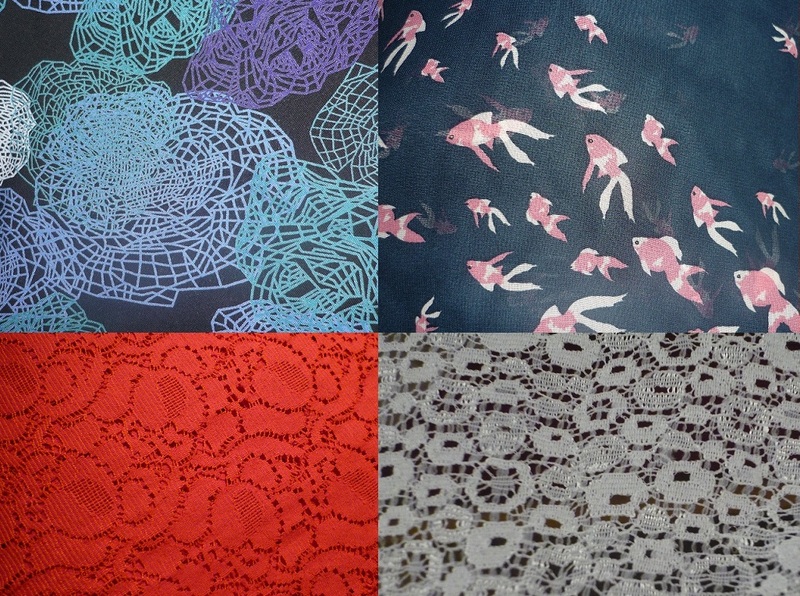 Jersey, cottons, georgette/chiffon, and occasionally some awesome printed polyester turns up in there! I usually have to tear myself away. It’s great for making a wearable muslin and real projects. And if you’ve read Tilly’s post on the cost of making clothing, Jack’s helps me keep costs down. So if that wasn’t enough I then opened my exciting new package. My baby overlocker!! Isn’t it sweet!? A Singer too. It was a little fiddly to thread but not half as bad as I thought it would be. I made my chain thread but have yet to practice on any fabric and set the tension. That’s my main plan for this afternoon. Finally I should mention my MMM item for yesterday. 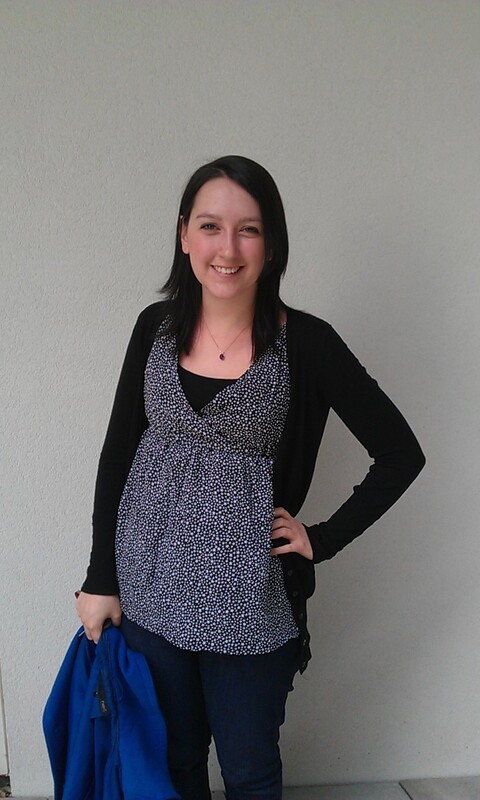 I wore this star print top made from New Look 6962. Jimi and I have been dating for 23 months and 3 weeks so we celebrated our almost anniversary by going out for Teppanyaki! Wasabi Teppanyaki at Granary Wharf is so much fun. I recommend it to everyone. They cook everything in front of you on a giant hot plate and the set menus give you a great variety of things to try. Japanese salad is delicious, hot miso soup, vegetable tempura, then I had aubergine, courgette, mange tout, tomatoes and onions in garlic and teriyaki sauce with egg fried rice. Yum. And there is obligatory shouting of “WASABI!! !” throughout dinner. Now you may ask why not wait an extra week to celebrate?! 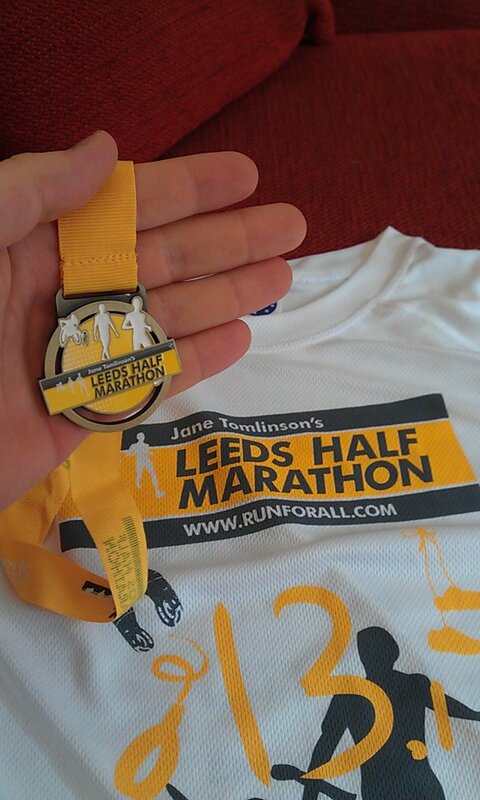 Well it is because Jimi is doing a half marathon next weekend. This means he can’t have a deliciously indulgent and giant dinner the night before the race and he may be too physically ruined to get off the sofa the day after. If it turns out he’s bouncing all over and fit as a fiddle the day after I’ll drag him out again.